The results are in! 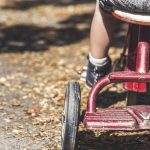 Kids Ride Wild has done comprehensive research to come up with a list of the best hoverboards for kids! With only a little bit of playtime masked as “investigative work”, we were able to rank our top six kids’ hoverboards (and even add in a bit of fun for the adults too). It wasn’t too long ago that Marty McFly was using a “futuristic” hoverboard in the Back to the Future movies—if only he could see us now! Hoverboards are an important part of our lives and our entertainment in modern society. Below you’ll find our reviews of best hoverboard for kids, followed by a useful buyers’ guide that will help you choose the ideal hoverboard for your family. And The Best Hoverboard for Kids is…. The Segway miniPro, available on Amazon here, is more than just a lightweight and safe scooter. It’s a revolution in the three-way integration of hoverboards, technology, and everyday life. Segway was one of the first “personal transporters” on the market, founded back in 1999. We love and trust Segway for their experience, innovation, and consistently great products. It has cool customizable LED lights, so your kids can sport their favorite color as they board. It has precision steering and 1600-watt engine power, so it’s well equipped to handle all of your kids’ hoverboard moves and tricks. Best of all: the Segway miniPro is safe. As a parent or guardian, you likely always skip through all of the kids hoverboard reviews to see the safety features—and we completely agree. 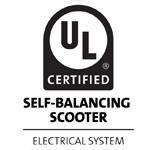 The Segway miniPro is UL-2272 certified-safe with multiple safety controls. This includes military grade shock absorption and speed limit controls. Aside from the safety, it is one of the most technologically friendly kids’ hoverboards on the market. The Segway miniPro can actually be controlled by your smartphone using a Bluetooth remote control. Integrating the mobile app, either for iOS or Android, allows you to learn how to ride in minutes! That means just about any kid can hop on this hoverboard and start having fun with their friends—with no frustration, bruises, or tears (likely). The app also features a tamper-proof anti-theft alarm. This will make your scooter unable to be ridden when you’ve locked it. But, because the scooter is so portable and lightweight, a thief can still pick it up, right? When you turn on the theft controls, an alarm will trigger on your phone warning you that someone has attempted to move your kid’s hoverboard. Oh, and this self-balancing scooter can even detect nearby riders, so you can be mentally and physically prepared for a race! The Segway miniPRO Smart Self-Balancing Personal Transporter with Mobile App Control is our winning best hoverboard for kids because of its fun, safety, and technology. Every time we see it, we want it for ourselves! >> Check out Segway miniPRO on Amazon right here. Don’t worry we have a lot of other kids hoverboard reviews coming up for you if the Segway miniPRO doesn’t fit your electric scooter needs. Let’s start with the contest’s runner up! The official runner up in our kids’ hoverboard reviews is the Swagtron T1 (Amazon Link). This electric self-balancing scooter delivers on its name—it’s completely full of swag! If you’re looking for a chic and trendy hoverboard that’s also safe and reliable (and at a great price), the Swagtron T1 is definitely one of the best hoverboards for kids. The Swagtron T1 comes in rich, vibrant colors: black, blue, pink, red, and white. The look is less futuristic than the previous two scooters listed, because the Swagtron focuses more on the “swag” of the hoverboard. With 8 mph top speed and a 250-Watt motor, this electric hoverboard is great for going up hills on all sorts of terrain. It also has gear stabilization that lets you travel back down that hill fast and fun, but in a restrained and controlled way. As Swagtron says, “cruise with swag!” Another cool aspect about Swagtron is that they offer sticker skins and decals to decorate and customize their kids’ hoverboards. These can be great add-on gifts and make your child feel extra-special. Their BMS system monitors and protects against overvoltage, overheating, overcharging, and overcurrent. 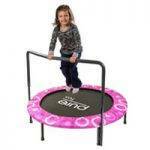 It has a safe stop feature that will bring the board to a rolling stop, so your child won’t go flying off of it. Their two-wheel self-balancing scooter excelled in all electrical safety tests—and we love a good student! Because it’s so safe, it makes it a great starter or learner hoverboard. With its multi-layered hoverboard protection and its rubber bumper-coated tires, you don’t have to worry about any bumps around the house. Their patented Swagtron SentryShield smart battery management system also makes it easy to realize when it needs a charge, so you don’t get stuck in the middle of the park with a dead hoverboard. Another thing we love about the Swagtron T1 is its two riding mode capabilities. There is a learning mode for beginners as well as the standard ride. The learning mode governs the speed until you’re “ready to release your inner swag at maximum speeds.” This is great for younger kids who are just learning—or parents who have some catching up to do! With so many great kids’ hoverboards on the market, we couldn’t limit our contest results to just two of them. Therefore, here are our top honorable mentions for the best self-balancing scooters for kids! The Razor Hovertrax 2.0 is a self-balancing scooter for kids that looks as cool as it rides. Razor is one of the oldest and most trusted companies when it comes to all-wheeled products for kids. We covered a lot of Razor products on our site, as they make some of the best electric scooter for kids, kids four wheelers and dirt bikes for youngters, to name a few. In a nutshell, it’s a global leader in electric recreational products, including electric hoverboards for kids and adults alike! With Razor’s EverBalance technology, this hoverboard for kids automatically levels for a safer ride, mount, and dismount. It also makes it smooth on any terrain, whether coasting or racing indoors or out. It has silent 350-watt motors that bring it up to 8 mph speed. 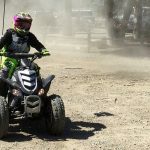 Razor believes in “silent but powerful,” using their motors to quickly get to a cruising speed of 8mph without noise or damage to the machine. The LED light bar display and battery indicator also add a great glow to the ride, day and night. The smooth ride from the EverBalance technology and the silent motor offers high performance and maneuverability to make every ride fun, safe, and slick. The Hovertrax 2.0 is made for the wear and tear that naturally comes with kid play. It has fender bumpers to protect the kids’ hoverboard and the kids themselves, and the scooter body is made from a shatter-resistant polymer frame. Although the EverBalance technology balances the ride, this electric self-balancing scooter is also ready for any accidental run-ins. It has anti-slip rubber foot platforms that help shoes and bare feet grip to it to prevent any trips or falls. Among many kids’ hoverboard reviews, this Hovertrax 2.0 sometimes gets fewer stars for its battery life. This board can only run for 60 minutes of continuous use. However, we still love this board because it is powered with a 36V LG-branded battery pack. These are easy and simple to change in and out, so you can extend your ride longer and further. No need for charging, just pack a couple of extra batteries and you’re good to go! 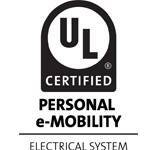 It is also UL-2272 certified and it offers two riding modes for training and standard use. The Hovertrax 2.0 is one of the best hoverboards for kids because it is made for kids, marketed to kids, and primarily enjoyed by kids. It comes in black, blue, and white and offers an impossibly smooth ride that goes forward, backward, and spins with intense precision. It is made to give kids the opportunity to “launch into the future of rolling” in a cool yet powerful way. This is a quiet, sleek kids’ hoverboard that’s perfect to roll into the future with safe, stylish, fun! 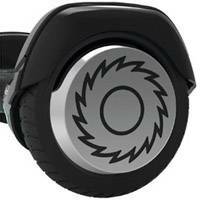 >> Check out Razor Hovertrax 2.0 Hoverboard on Amazon right here. 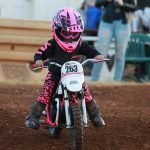 Does your child live an active lifestyle? Do they like to get out and explore new areas and terrains while having a blast doing so? The Halo Rover Hoverboard has a lot of unique features that make it one of the best hoverboards for kids who have an adventurous side. One of our favorite features about the Halo Rover Hoverboard is its Bluetooth speakers and mobile app, which makes it distinct from a lot of the other kids’ self-balancing scooters on the market. The Halo Rover mobile app lets you customize the board to your riding style. 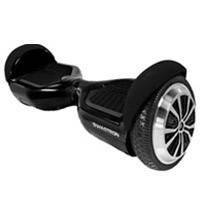 It even offers Bluetooth capability, which sends your own tunes to play from the board as you ride! The mobile app tells you your speed, battery life, current ride distance travelled, and the lifetime distance travelled. We love that it can show how far you’ve been with your board, especially for those kids looking to show off their sense of adventure! It also enables you to power it on and off, track and map your ride, or switch between three modes of riding: beginner, normal, and advanced modes. One of the best features of this kids’ hoverboard is its ability to travel anywhere, on any terrain. 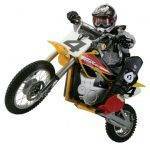 Your child can ride on streets, mud, sand, grass, and even snow! Their exclusive Halo Technology includes stability sensors that enable a smooth ride no matter the turf you’re on. This can make you feel more comfortable to ensure your child will be safe while they explore on their self-balancing scooter. Plus, the Halo Rover Hoverboard was ranked the 2017 Best Hoverboard based on its technological features, high-grade body, water resistance, all-terrain capable tires, and the Bluetooth music playback. Although it is an honorable mention on our list due to the price and weight, it is definitely one of the highest rated in kids hoverboard reviews. >> Check out Official Halo Rover Hoverboard on Amazon right here. If you’re looking for an inexpensive hoverboard for kids that has a lot of the same great features as those listed above, the Skque Self-Balancing Scooter is an amazing option. For a great price you still get the UL-2272 safety verification for all parts of the hoverboard. It has guaranteed battery safety and an improved charging system, which speeds up charging by 15%. Its strong, certified shell creates product durability that makes it long lasting. The Skque Hoverboard also has an upgraded motherboard with professional tuned gyro sensors to ensure the ride is smooth, safe, and fun. There are also a lot of fun features that come with this cost-efficient board! The Skque Self-Balancing Scooter has a selection of Bluetooth-available hoverboards, which links the board with the cellphone to play your music as you ride! Skque is known for its Bluetooth speakers, so you’ll know you’ll get great, quality sound! It also has strong LED lights, which are great for riding at night and traveling in style. It can reach speeds up to about 7.4 mph, making it a fun, quick, and versatile device. It also comes in a lot of color options: black, blue, pink, red, and white. The non-Bluetooth kids’ hoverboards come in those colors as well, except for the pink. Everyone wants to be able to get the best hoverboard for their kids. The Skque Self-Balancing Scooter is a great way to offer those same safe and fun features at a fraction of the cost! >> Check out Skque Self-Balancing Scooter on Amazon right here. Don’t think we forgot about you—big boys can drive too! Although any of the above-mentioned kids’ hoverboards will work for an adult, the EPIKGO self-balancing board is our top pick for a fully grown hoverboard with wheels. This is the “bigger, faster, better” self-balancing scooter that will keep you moving anywhere, on all terrains, for all “rolls” of life. This EPIKGO hoverboard is easily one of the most powerful hoverboards on the market. It has all-terrain, rubber tires that can go on rough and tough roads, gravel and grass—all while maintaining high speeds up to 10mph! Its 400W dual-motor is one of the strongest self-balancing scooter motors available, and it propels you up slopes as steep as 18°! The motor and battery will last over an hour…at full speed…on any terrain…on a single charge! Furthermore, it will keep its stability and functionality as you power through the streets. It offers larger-than-average footpads that increase stability for adults and make the board easier to control and maneuver. Plus, the 8.5-inch alloy wheels are 30% larger than the traditional hoverboard wheels. These keep you balanced and upright, even if you’re a newbie to the hoverboard world! The aluminum alloy body frame also assures added durability, just in case you run into a few walls in your first go around. The EPIKGO self-balancing hoverboard is also IP56 waterproof certified. That means it’s semi-submersible! Great for boarding through puddles or if you’ve accidentally spilled a coffee on the way to work. We love what one Amazon customer said about this product: “this is one awesome, bad-boy hoverboard!” It is the bad-boy of hoverboards, but it is also setting the standard for high-end adult self-balancing scooters. But don’t worry, it’s safe too. It has an LG, Firesafe smart battery and a UL-2272 certification. It has passed 159-point safety tests that ensure maneuverability and control of the rider. Still, you’ll want to wear a helmet as you cruise to work or play on this EPIKGO hoverboard. These boards are also great gifts for the loved one in your life who is looking for a new way to rock and roll. >> Check out EPIKGO Self-Balancing Board on Amazon right here. We’ve given you our contest-winning best hoverboards for kids, but now you still need to decide which is the right solution for your children! To help you make your verdict, we’ve created a practical guide to help you choose between different kids’ hoverboards to find the best one for your family. Most kids’ hoverboards you will see on the market now are certified and accredited. There is a better understanding of batteries, charging, and usage of these scooters that enables significant and thorough safety procedures to be put in place. When purchasing a self-balancing scooter for your kids, you should always ensure it is a UL-2272 certified hoverboard. You should also invest in additional safety gear, like a helmet, elbow pads, and kneepads. Another aspect of safety is the understanding of the proper way to ride a hoverboard. Kids love to play, but we know that sometimes that play can hurt them. In this way, you may want to choose a hoverboard that offers different riding modes, such as a learning mode along with standard mode. Put one foot on the hoverboard at a time—never jump on with two feet! Step on with your dominant foot first. Don’t lift your second foot too slowly or too quickly, just act as though you were climbing a stair. If your balance feels a little out of whack at first, don’t worry. It’s natural to feel off-center, and the hoverboard is designed for stability. The board responds to shifts in weight. Lean slightly forward to move forward, and lean slightly backward to move backwards. Again, don’t overthink it. Shift your balance from your hips rather than your feet to get the best leverage. To turn left, you move your right foot forward. To turn right, you move your left foot forward. This will twist the board in a similar way that a rudder changes the course of a boat. If you get stuck in an accidental spin, don’t worry! Simply balance out the weight of your feet and hips, standing up straight. If you are moving fast, slightly lean your weight backwards to slow down to a stop. To fully brake, stand up straight with your weight evenly balanced. Don’t step off in front of the board. Instead, step back with your dominant foot behind the board. Then, step off with the other foot immediately afterwards. If you can ride a bike, you can ride a hoverboard! Focus on your center of gravity as a balance, and you’ll be ready to glide! To make learning how to ride even easier, you want to purchase a kids’ hoverboard that has the mechanism to automatically self-balance. Many of the above scooter companies have invented their own technologies that keep the board—and the rider—upright and stable. The best self-balancing scooter for kids, though, is one where the child feels most comfortable on the board. The rider should feel relaxed as they center their feet and gravity on the hoverboard in order to get the smoothest ride. Most UL-2272 certified hoverboards will have a “safe stop.” This means that if the board suddenly loses power, it won’t come to a screeching halt during an 8mph ride. Instead, it will break using a safe glide that will protect the board and the rider from any harm. Although this is typically included in certification, it doesn’t hurt to ensure with the company or the seller that there is a safe stop feature on the board. When choosing a kids’ hoverboard, your child will likely care most about speed and range. They want to go fast and for hours on end. Most self-balancing scooters for kids reach speeds of 8 mph, with adult hoverboards reaching 10 or 11 mph. On average, many high-powered scooters can last an hour on a single charge at full speed, but many can go for much longer. Weigh the speed with the range to ensure that you are getting the best bang for your buck when it comes to both features. If you have an adventurous kid, you want a self-balancing scooter that will provide all-terrain traction. Types of traction that your board may encounter include grass, dirt, gravel, pavement, mud, sand, and snow. Not every board needs all-terrain tires, and these tires can actually be a disadvantage if your child plans on riding the board indoors only. Consider how you or your child will be using the board before deciding on the wheel type and traction the tires should have. You should ensure that the rider’s weight will not exceed the scooter’s weight limit. Most scooters do not have a minimum weight limit, but it is best not to put young children on a hoverboard. When purchasing for adults, a maximum weight limit becomes especially relevant. One of our favorite features is the ability to sync up your mobile device with your hoverboard through an application. 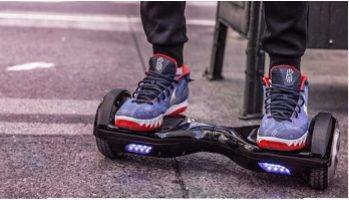 It offers hoverboard configurations, tutorials, riding modes, safety features, LED light color adjustment, remote controls, anti-theft alarms, and more. Some hoverboards can even play music through Bluetooth speakers in the boards, which makes riding even more enjoyable and personalized! There are other features you may want to consider when purchasing a hoverboard. LED lights are available for style as well as for nighttime riding. Many kids’ hoverboards offer rubber collision protectors or bumpers. Aluminum and alloy frames can add durability and maneuverability. When thinking of the best hoverboard for your kids, make a list of all of the features that are important to both you and them. Then, ensure that the prospective board has those features! With the in-depth kids hoverboard reviews above, you should be able to find an amazing, fun, safe, and cool self-balancing scooter that your whole family will love. This post presented our best hoverboard for kids as conducted by our in-depth contest and research, and we presented our top seven kids hoverboard reviews. 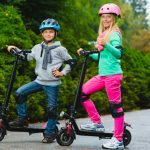 Our guide to choosing the best self-balancing scooter for kids and adults alike will help you ride off into the sunset in safe, strong style.